With winter fast approaching it’s time to start bundling up and get cozy in front of a crackling fire. Here, 12 relaxing inns to escape to for a week or a weekend. Tucked in the scenic foothills of the Blue Ridge Mountains, the history runs deep at this award-winning inn. Inside, there’s a bevy of rich textures, luxe fabrics and European touches. 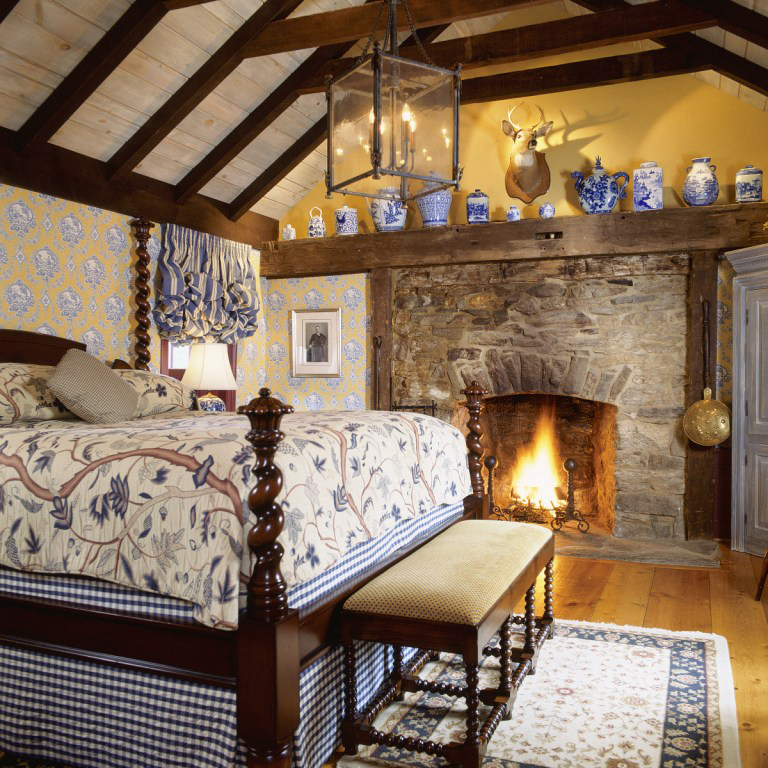 The ultimate cozy factor is the Mayor’s House cottage with a stone-encased fireplace. At the helm, Chef Patrick O’Connell serves a memorable spread at his critically hailed, fine-dining restaurant. In a picturesque New England town, the stately, refurbished White Hart Inn (est. 1804) is a cordial spot with an inviting front porch and a stellar art collection inside featuring the likes of Frank Stella and Jasper Johns). Take refuge in the well-appointed rooms –most of which are generous suites –stocking C.O Bigelow toiletries and plush Frette robes. The cozy Tap Room, under British chef Annie Wayte, serves pub-style fare sourced from local farms and salty bar snacks like Scotch eggs and a decadent clam dip with house-made potato chips. Situated in the beautiful Catskills, this newly opened inn’s five spacious rooms are dressed in clean, light whites, with Sferra robes and towels and toiletries compliments of Malin & Goetz. The 50-seat “Bar Room and Restaurant” serves a rotating menu of hearty fall-into-winter dishes like pumpkin salad with charred onion and smoked peach and pork belly with spiced carrot puree. Afterwards, work off your meal on the two-lane bowling alley (with pins from the 1950s). 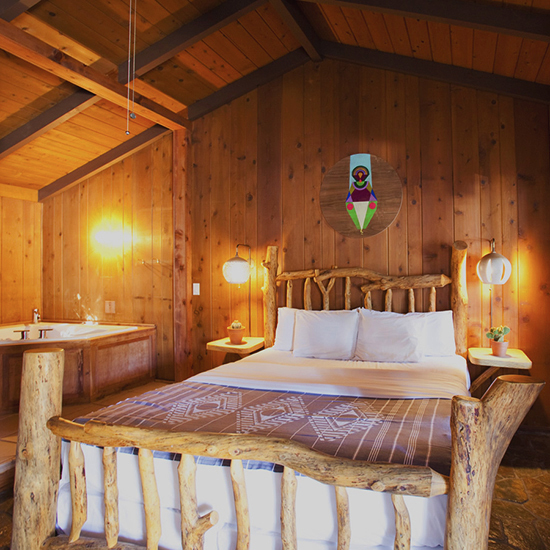 Decompress in the fresh air of Big Sur’s rustic Deetjens Inn, a 1930’s property of 20-rooms located at the edge of a lush redwood forest. To take the chill off, ask for a room with a fireplace, nestle by the crackling logs with a good book, a glass of bourbon and some classical music. The laidback restaurant serves local and organic produce and warming classics like a duck breast with cherry-port reduction. 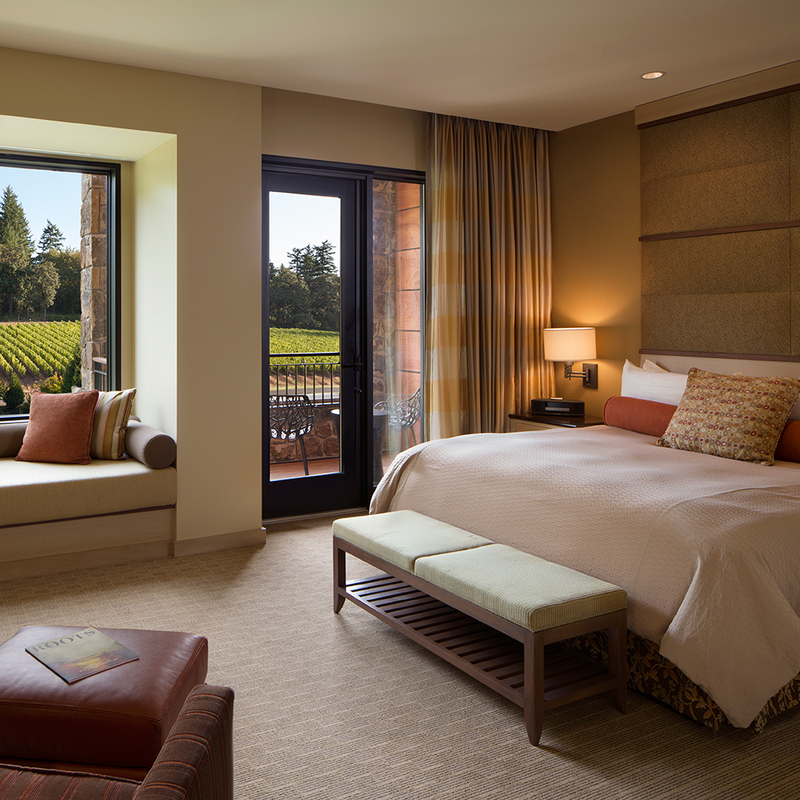 The stunning, lush milieu of Oregon’s Willamette Valley, known for its wineries, is also the perfect place to lay your head. 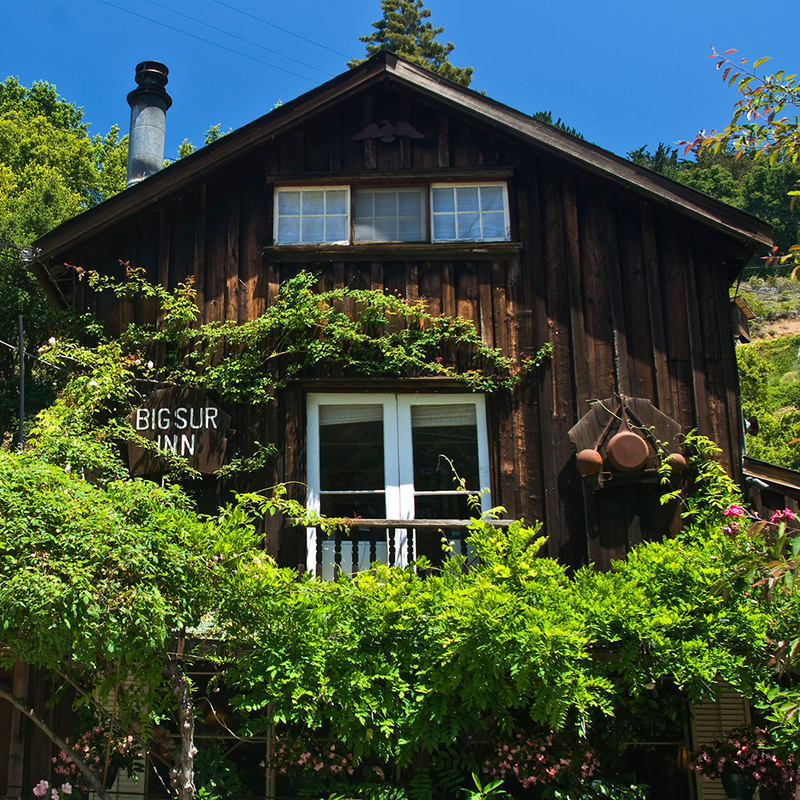 The Allison Inn has a comfortable living room to unwind and rooms include gas fireplaces, local art, bay-window seats and stellar views of rolling vineyards from the terrace. Sign up for a garden yoga session or check into the spa for “pinot therapy” –where the grapes become a face mask and their antioxidants improve skin tone and texture. 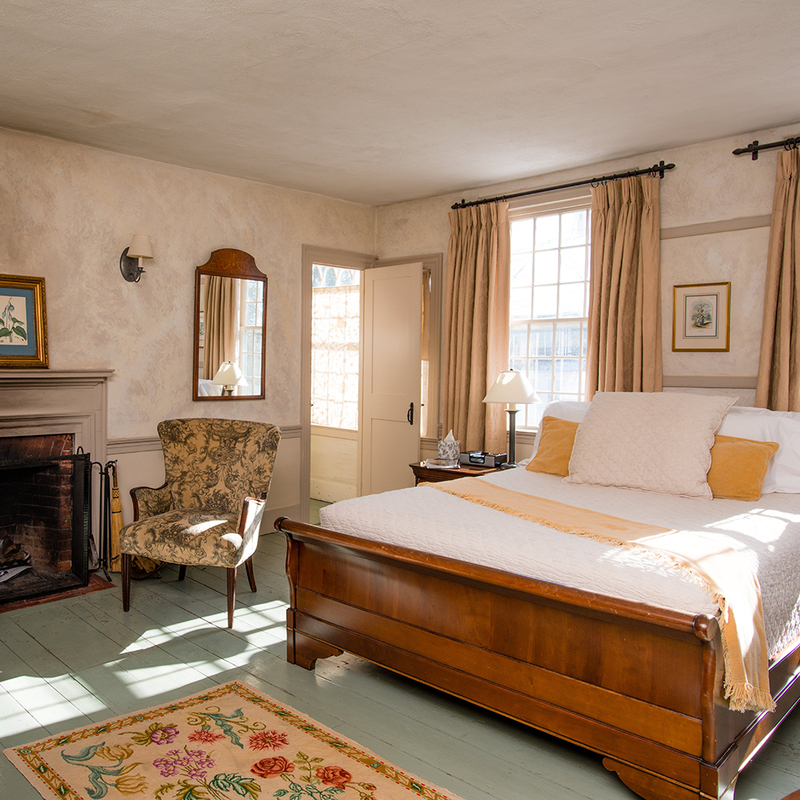 For a romantic late fall into early winter Berkshires retreat, the sturdy columns of this Inn (once a 1760s stagecoach relay) offer well-appointed guest rooms –each decorated differently and some of which include warm fireplaces, claw tubs, and private outdoor seating areas. The low-ceilings, iron chandeliers and candle lit dining room, dressed in cozy colonial appointed interiors, anchor chef Peter Platt’s simple, reasonably priced menu. This charming, four-story inn (est. 1728) was once used as meeting spot for Confederates and a diversity of past guests from George Washington to actress Elizabeth Taylor. 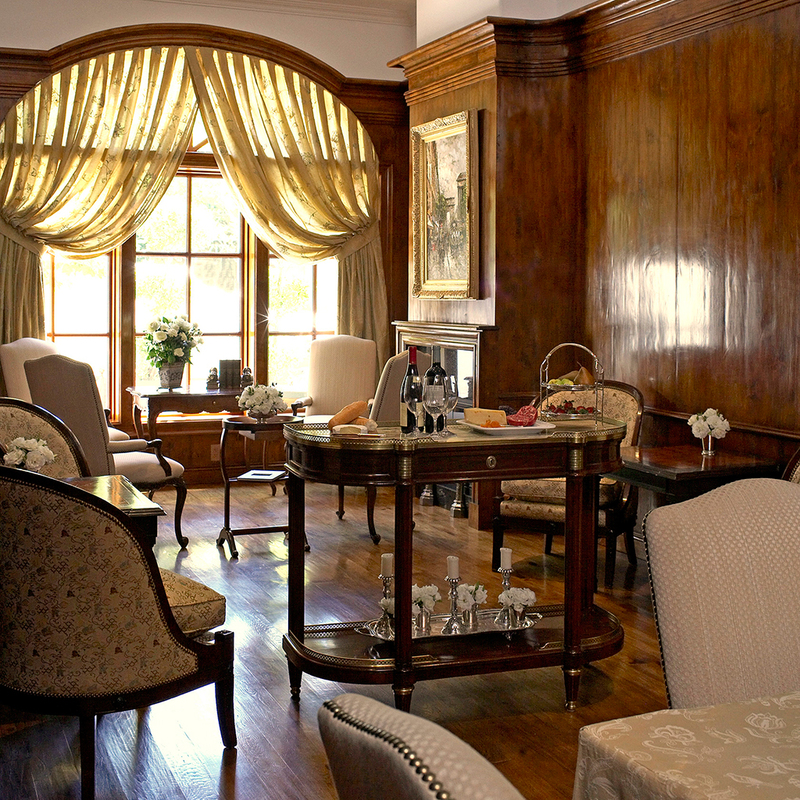 Rooms are outfitted in traditional Piedmont décor, inspired by four hundred years of history. The tavern features hardwood floors and fox and hound paintings. Try the Virginia peanut soup coupled with a dark lager or a light cider. Transport yourself to France in the middle of California wine country. This family-run inn remains a study in luxe, French-inspired decor with a limestone façade and lush, landscaped gardens. Sixteen rooms showcase four-poster canopy beds, antique furnishings and gas fireplaces. At night, take advantage of the wine and cheese receptions and by day the rolling hills with over 100 wineries. 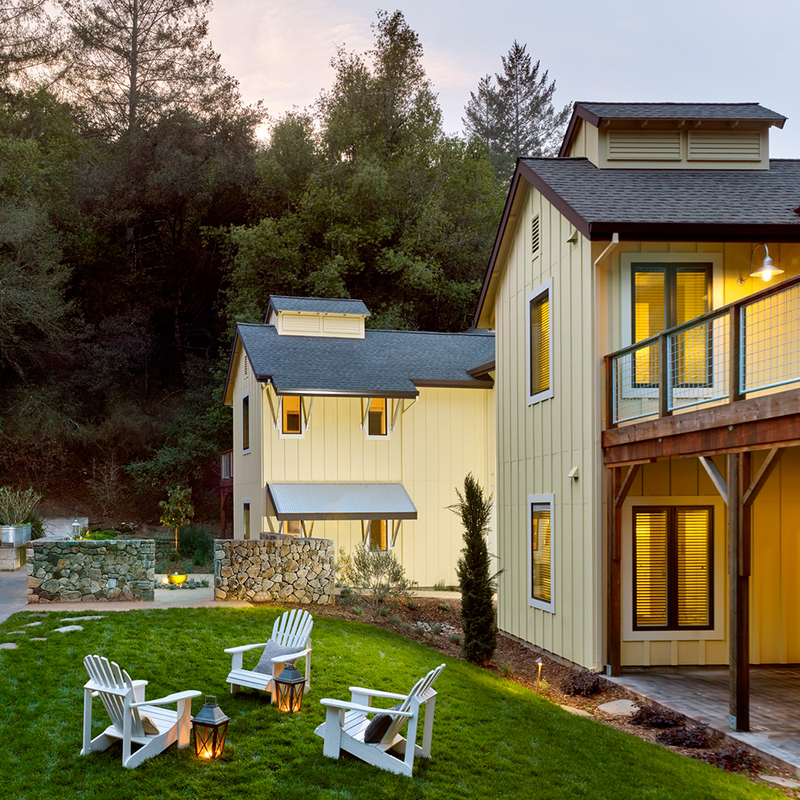 The laid-back, Sonoma Valley vibes encase this charming family-run inn with whitewashed walls, cozy furnishings (either King Luxury or smaller Heritage Queen rooms) that you might expect from a chic barn photo-shoot. There are also whirlpool tubs and in-room saunas. Even more enticing? 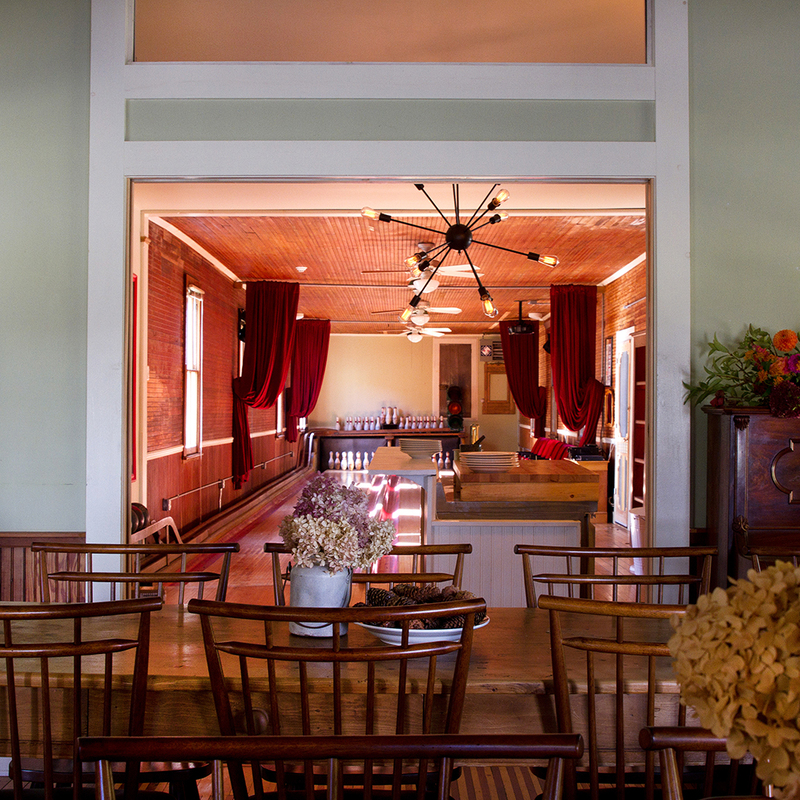 A Michelin-starred farm to table restaurant by chef Steve Kitke. After dinner, take the chill off by the fire pit with a big California red. The small, sparse and intimate Stickett Inn rests in the sleepy town of Barryville. What was once an 1830’s canal house has been completely revamped by two New York transplants and there’s retro furniture and design savvy all around. With only four, small rooms, expect different themes (the “Eat” room is complete with a refrigerator) plus memory foam mattresses, rain showers, Mailn + Goetz products and local food and beverage curated by Region General Store. Situated in a stately building from 1844, this centrally-located inn is elegant and full of traditional Southern charm. Well-appointed rooms (some of which are said to be haunted) include high ceilings and plantation style beds. 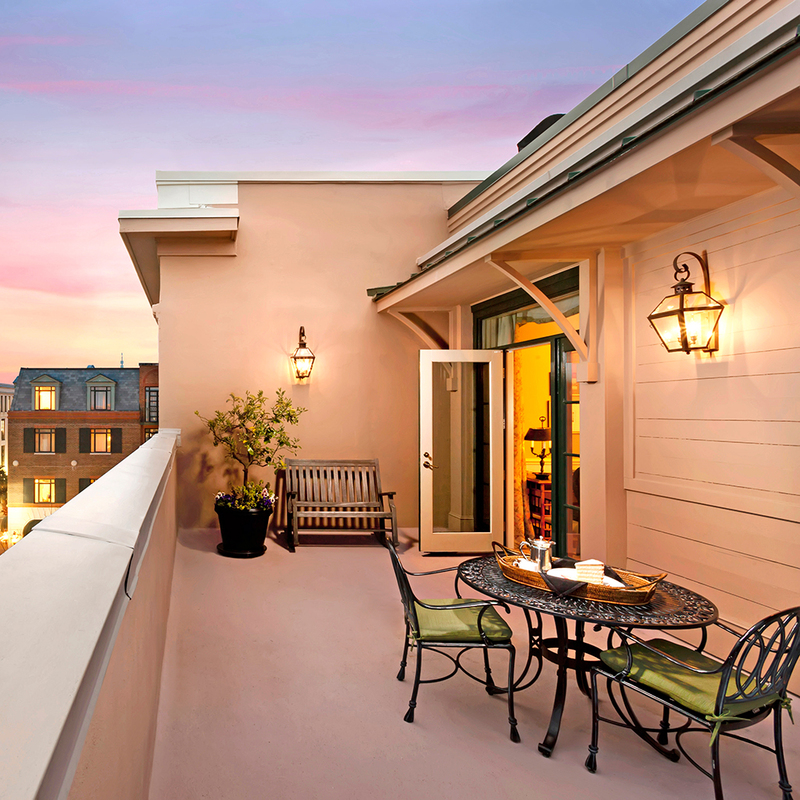 Outside, a well-kept courtyard garden lined with palmetto trees is complete with gas-lit lanterns and the acclaimed Peninsula Grill with memorable southern cuisine.